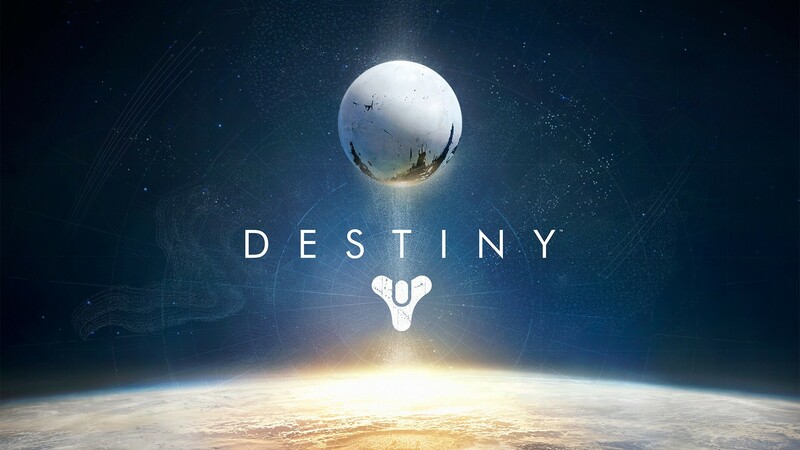 “Destiny” features a giant white ball named “The Traveler.” Also, a logo that looks a little suggestive. Photo from DualShockers. Here’s the thing about “Destiny”: I didn’t want to get it. I wasn’t totally sold on it, I was hesitant at the constant online play and I didn’t want to spend money on a game for my 360 when I may get a new console soon. But I did. And after playing the thing for the better part of the last week, I don’t regret my decision. Yet. Honestly, going in I didn’t really know what the game was all about. Maybe it was the fact that Bungie made it or perhaps it was that I was dying for something new to play. Either way, I went for it. And after deleting half my hard drive to download it and navigating the extremely confusing menu system, I think I finally understood what “Destiny” was about two hours in. The game is a melting pot of everything to ever come before it. It’s got a story like “Mass Effect,” an MMO aspect like “World of Warcraft,” the combat and missions are a lot like “Halo” and a story system that’s very similar to “Borderlands.” And, of course, the multiplayer is a lot like the last 17 “Call of Duty” games. However, while this is clearly evident, it’s not a terrible thing. The game is something fresh on its own. There’s always someone to play with, considering it must be played online, and you’re always finding buddies to venture into battle. 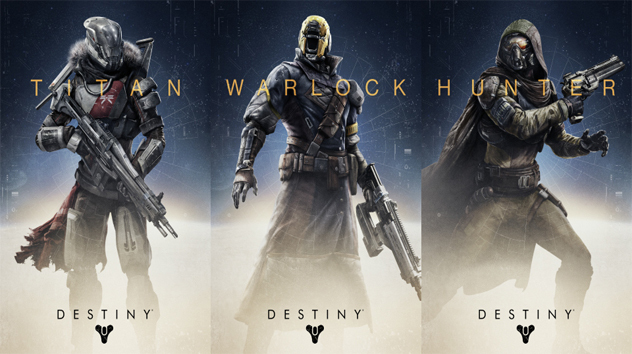 The game’s got two things going for it: Story and multiplayer (called “crucible” in game). Let it be known that I chose to play the story with a friend online, so I always had help in battle. “Destiny” really only has three classes to choose from and most people are choosing warlock, but that’s none of my business. Photo from gamengadgets. The story is weird in that there barely is one. Players are given plenty of missions to go on and most revolve around going to a planet, finding the bad guy, and killing him and all his minions. After about two or three hours of this, I sat down my controller and asked myself, “Is this it?” But as I’ve gone on, leveled up my character and discovered more places, it’s more than enough. The missions are a blast, especially with a friend, and I’m worried I’m going to run out of things to do if I keep playing at this rate. There’s plenty of Easter eggs to find, loot to collect, and XP to gain. The campaign is definitely the game’s strong suit, filled with an almost endless amount of enemies to take down, even if there really isn’t much of a story line to invest in. Whether this was intended by the developers or not, the most fun part of the game is planning out an attack with my squad and trying not to die twelve times before we beat the level. If the story is what has me amped about the game, the multiplayer is what’s keeping me from calling it the next “Halo.” Simply put, it’s boring. After I finally figured out how to play it (one must unlock it within campaign then navigate the menus to find it) I was instantly turned off. It felt like a super-powered “Call of Duty” filled with players who were already max-level and sucked the fun out of it for the noobs who just got the game. There are several modes to play but they all feel the same. The maps are too similar to count and sometimes they’re too big to even find an enemy. Shockingly, there are only three classes to choose from; while they are extensive, they do limit choices and the types of enemies you will fight. I bought the game to have something new to play online in my free time and maybe find a reason to finally turn off “Battlefield 3.” But sadly, I don’t think “Destiny” will be that game for me. However, maybe once I level up about ten more times it will be different. “Destiny” has been a lot of fun. But as I come to an end with the main campaign, I worry the disc will sit on my shelf for months until I attempt to play it again. The campaign is great and there’s a lot to work with in armor, guns and gear. But the multiplayer is seriously lacking in diversity and in need of some serious work. If you’re expecting to put 80 hours into the game (as you should), maybe you should think again.